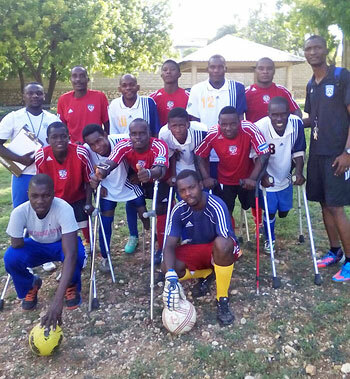 The 2015 Haiti National Amputee Soccer Team has their appointment to get their US Visas at the US Embassy in Port-Au-Prince on Tuesday, October 27. We will need to buy their Haiti/Miami air tickets the week of October 25 so they can begin their USA Veterans / Wounded Warrior tour and participate in the Guadalajara Cup of the Americas Tournament November 21-29. They are scheduled to present a wreath at the National Cemetery in Little Rock on Veterans Day. They will also visit the Little Rock VA, meet the Arkansas governor and highlight a fundraiser for 12 year old cancer survivor and recent leg amputee Emily Buckley.